Someone must first walk the path before it is paved. Since the abolition of slavery, generations of courageous African-American men and women, seeking just opportunities, have defied fear and reached heights untouched by their ancestors. The deep value of this historical noble groundwork is annually acknowledged by the Morgan County African American Museum (MCAAM) through their Living Legacy Gala. Ladies and gentlemen from all over Georgia, robed in graceful evening gowns and crisp black suits, filled the charming hall of the Madison Cultural Center Annex to celebrate the achievements of four impactful community pillars Saturday evening. The honorable individuals were recognized for their groundbreaking achievements in four categories: Community/Civic, Education, Religion, and Business. MCAAM President Mayor Fred Perriman announced the honorees and presented each of them with a personally engraved glass award. “I saw a need to help someone else, so I got there and helped those people, and I’ve done a lot of this work free,” Cook explained. Earnest C. Jackson, a retired educator, was recognized for his personal achievement and county-wide impact in education. With a Bachelor’s Degree in Agricultural Science and Education, Jackson became an inspiration to students of all races as an Agriculture teacher during his tenure at Pearl-Burney Street School and Morgan County Middle School – a segregated school and an integrated school, respectively. Jackson went on to coach basketball for the Morgan County High School and drove school buses part time prior to his retirement in 1999. Due to his heath, Jackson’s wife accepted his award on his behalf. During a period in the Church when a woman’s silence was cherished more than her voice, Prophetess Stella L. Head stood faithfully in the pulpit, eyes on God. Head was acknowledged for her faith and devotion in religion. Head, a Morgan County native, began her anointed journey in 1980 and became the first female pastor in her local area in 1984. Head has since, been set apart as a prophetess, founded two ministries, and shared the Good News on local television. From picking cotton as a young boy to entrepreneurship in his middle age, Eddie Wyatt, Sr. is a man who has never known idle hands. “It was tough back in those days, real tough,” Wyatt expressed. Wyatt was honored for tenaciously seeing a vision beyond oppressive circumstances in the business world. Maybe growing weary, but he never stopped, Wyatt worked paper routes, answered phones, pulled and grinded logs, stocked shelves, and operated machinery often times making less than minimum wage. After over 30 years of hard labor, Wyatt began his own business, Wyatt’s Electrical Service, which he still administers with his family today. The woman behind the gala, Sherry Terrell, treasurer and chairperson of the Living Legacy Gala committee, believes it is important for the youth to celebrate the accomplishments of others, especially those who are, or have been, where you aspire to be. 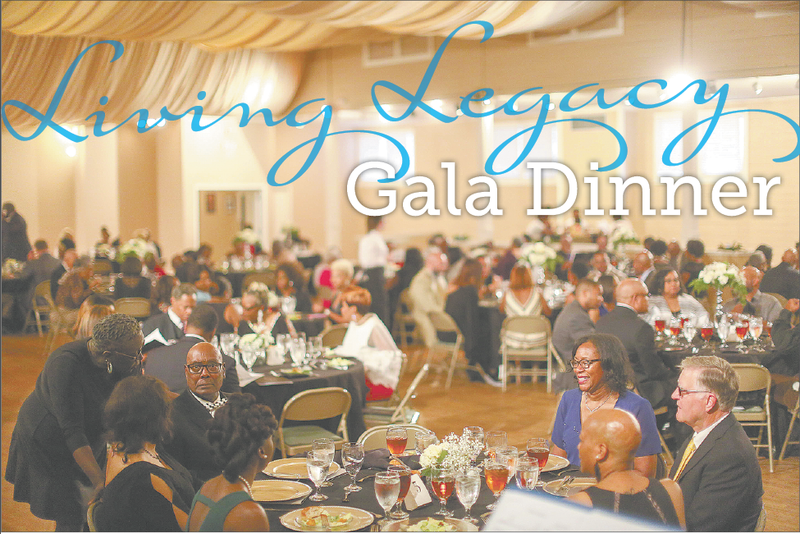 The Living Legacy Gala is an opportunity to be inspired by those who have paved the path for those who are currently walking it. “I believe that its necessary that we honor and recognize one another for our contributions, our greatness, because at the end of the day, it helps those who are behind us,” Terrell shared.